Places to eat and drink in Andros are spread all over the island. Most restaurants and bars are found in the tourist regions of Andros, such as Chora, Batsi, Gavrio and Ormos Korthiou. 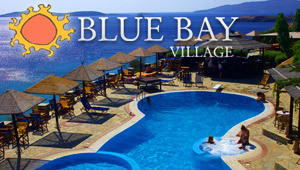 There are also many seaside taverns along popular beaches, including Golden Beach and Agios Petros. A walk around Chora, the main town of the island, will bring you to nice cafe serving local drinks and sweets. Bars and clubs in Andros are not loud but keep a lounge atmosphere. Are you looking for places to eat and drink in Andros island? Here are some interesting suggestions to have a meal or dinner, enjoy a relaxing coffee and spend the night out in Andros. If you have visited any of these places, feel free to leave your feedback or upload their photos, if you have. Want to discover more about Andros? Enjoy your meal by the sea or under the stars in one of the many restaurants in Andros. Have a look on cafe in Andros, where visitors can spend relaxing moments by the sea. Clubs in Andros are few but attract many visitors and frequently organize all night parties.